what techniques she uses, how she portrays the character of the narrator, Arthur Kipps and how to write spanking essays for Controlled Assessments and the Literature Exam. NEW + How does Hill build tension in Chapter Four when we first meet the Woman in Black? 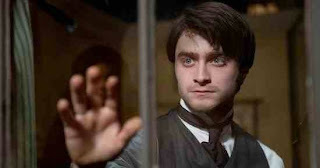 + How is the Character of Arthur Kipps presented in the first four chapters? + How does Hill use gothic conventions in the first three chapters? +symbolism of place and weather (pathetic fallacy) in the novel. If you are studying The Woman in Black, you may also like"
The author, Melanie Kendry, is an Oxford graduate, outstanding-rated English Language and Literature teacher and of ages 10-18 in the British education system. In 2012, she was nominated for Pearson's Teaching Awards. As a private tutor, she raises grades often from C to A. Her writing is also featured in The Huffington Post. She offers private tuition in the Haywards Heath area, West Sussex. Got a question or a comment? I'd love to hear it. Curve Learn (c) M Kendry March 2013 - Present. Simple theme. Powered by Blogger.